PREPARE TO BE SCARED . . . IF YOU DARE! SUBMIT YOUR BOOK TRAILER FOR A CHANCE TO WIN A FREE BOOK PROMOTION ON OUR SITE! Keyhole Conversations scary Halloween Book Trailer contest closes on September 30, 2012. Be sure to get your entry in. You could be one of the the lucky winners. Not quite sure if your book trailer qualifies? Here is an example of a ‘scary’ book trailer. 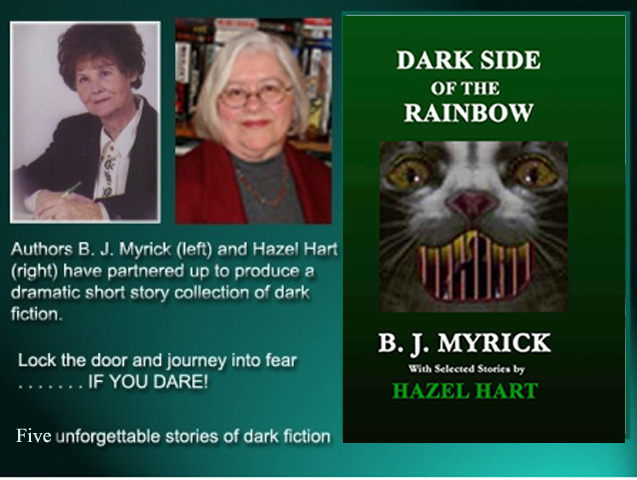 We’re even offering a special Kindle free e-book promotion of Dark Side of the Rainbow through September 30, 2012. Just click on the link and prepare to be scared . . . if you dare. Your entry must be in English and five minutes or less in length. You must have the rights to the images and audio in the trailer with all credits listed at the end. Your entry must be truly scary with elements of horror or the supernatural. Think Edgar Allan Poe to Mary Shelley to Stephen King. Send e-mails with the YouTube link to both hihart@prodigy.net and to beaton@sktc.net by September 30, 2012. Keyhole Conversations scary Halloween Book Trailer contest closes on September 30, 2012. Be sure to get your entry in. You could be one of the the lucky winners. Not quite sure if your book trailer qualifies? Here is one example of a ‘scary’ book trailer. We’re even offering a special coupon code so you can get the eBook free. And be looking for another special Halloween offer of a free scary eBook next week. A young woman inherits a mummy with instructions for activating its powers and making her every wish and dream come true. 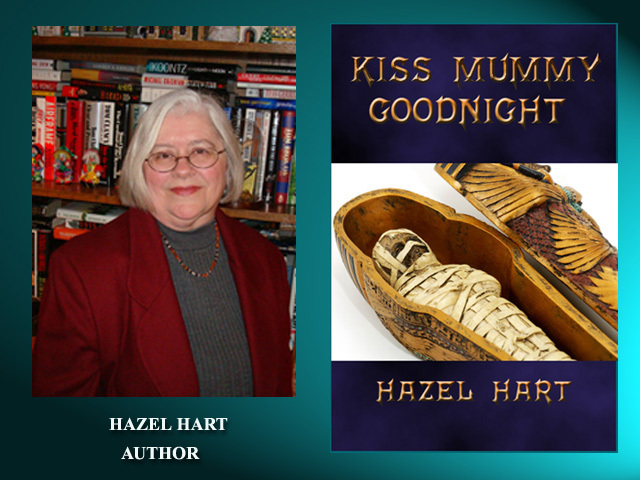 But then she learns the mummy has wishes of its own in KISS MUMMY GOODNIGHT. Click here to download your free e-book, then enter the coupon code YD58H.The book will be free if the code is entered prior to completing checkout. The coupon is good until Oct. 30, 2012. We here at Keyhole Conversations love Halloween and scary stories. You can tell that by our two collections of dark tales: Dark Side of the Rainbow and Edge of Nowhere. We’re looking for authors of dark fiction to feature in our upcoming Halloween series, so we are running a book trailer contest. Two winners will be featured in October, 2012 posts that will include the book trailer, author bio, and links to the author’s website, blog, and published books. Winners will receive a Keyhole Conversation award which can be posted on their website, blog, or author’s page.